Graphic Design Media has been in high demand since starting as a Specialist Program in 2012. Students are guided by experienced teachers utilising excellent facilities and industry standard hardware such as iMacs, interactive tablets, the Adobe CC Suite and 3D printers. Our teaching staff have established excellent networks with a wide range of institutions including Murdoch, Curtin and Edith Cowan universities and the Black Swan Theatre. 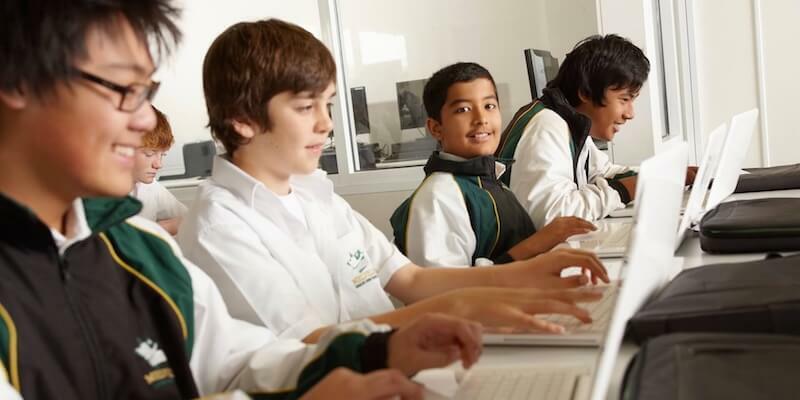 Design and media are growth industries and the program leads directly to our ATAR pathway courses in Year 11 and 12, which are Design, Visual arts, and Media Production and Analysis. Melville SHS students consistently rank amongst the top in the State in these courses. Unlike many other secondary schools, we offer Graphic Design Media from Year 7, ensuring that creative students are fostered and mentored throughout their secondary school education. Throughout Years 7 to 10, Graphic Design Media students are offered Master Class opportunities where professionals from the industry work with individuals and groups to extend and enhance their learning experience. These professional designers and media makers lecture and hold workshops during the program, coming from fields as diverse as fashion, printmaking, animation, architecture, interior design, illustration, photography, film making and industrial design. Year 7 and 8s attend two sessions a week doubling to four sessions in Years 9 to 10 (from 2019). Projects are drawn from exercises aimed at increasing core skills as well as giving relevant industry context. Over the course of the year, students normally undertake one major project from each of the four major contexts: spatial design; 2 dimensional design; film and time-based media; and interactive/ photographic media. Enrolment in the program involves a testing process when students are in Year 5 and/or 6. This involves an academic test, submission of a folio of art and design work on testing day, and an interview in Semester 1. Students in other year groups are welcome to apply to join the program as sometimes vacancies arise. Folios should showcase the applicant’s creativity in applied art and design tasks such as photography, drawing, cartooning, animation, building websites, clothing design, drawing, film, 3D design and really anything the child has made with a purpose. This work can be hard copy or digital, or a combination of both. More details on what can make up the folio are on the link below. Most folios handed in are A3 slip files, cheap and easily available. Students in the program are required to bring their own laptop. This will be one of their main tools over the three year duration of the program (and also a very useful tool into upper school). This replaces the iPad that all students are expected to have from Year 7. Advice on the required laptop specifications is available to applicants from the teacher in charge. Acceptance into this program is for six years from Years 7-12. 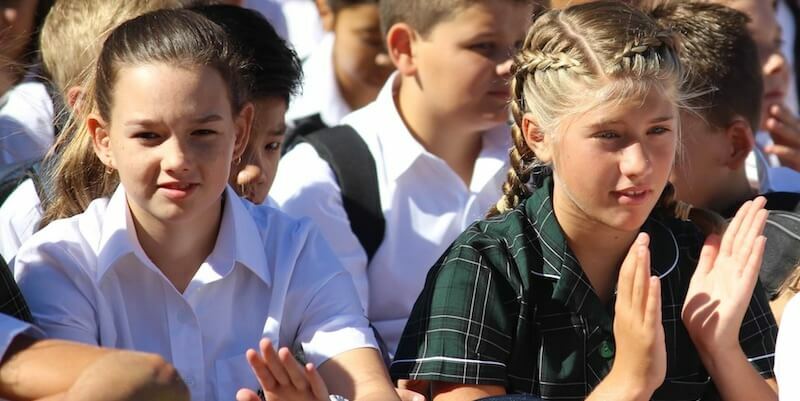 If a student does not achieve adequate standards, an interview will be required with the Deputy Principal and students outside the local intake area may not be able to continue at the school. Applications have closed for all programs. Students can apply to be added to a wait list. Applications are now open for students in Year 5 and 6 in 2020. A folio is required to be supplied on the day of testing. Students sit one test for entry to all Specialist and Focus courses (no academic test for Netball). The test consists of writing, general abilities and Maths. The test requires no prior study however parents may purchase scholarship books on selective entrance tests that are available in education stores. A folio is required to be submitted on the day of testing. Year 5s only submit their portfolio in Year 6 when they will receive a letter about dates regarding folio and interview. GDM Parents Support Group is an incorporated body that meets twice a term to discuss matters of fundraising, competitions, sponsorship, the direction of the program and to give feedback to the staff. Fundraising by the Parent Support Group has provided students with the opportunity to participate in Master classes and purchase media technology such as cameras. GDM interviews will be taking place on the 13th and 14th of May 2019. A folio is required to be submitted on the day of testing. Year 5s only submit their portfolio in Year 6 when they will receive a letter about dates regarding folio and interview.